Ideal for those heavy awkward objects, display cabinets, safes, filing cabinets, washing machines, etc. 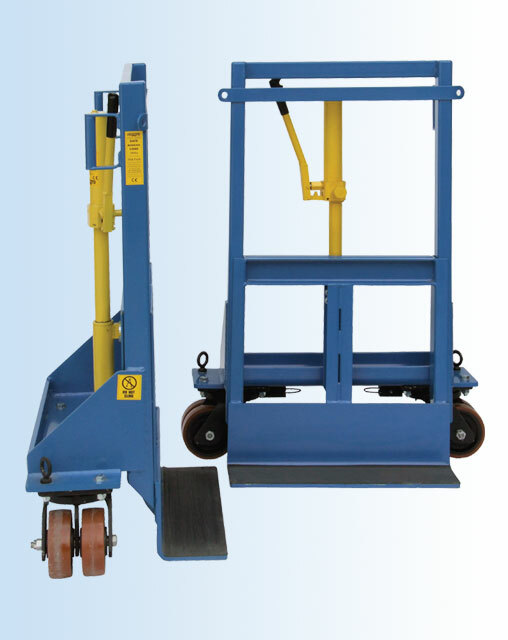 The wheels can swivel 360 for easy manoeuvring. The weight is lifted by two hydraulic jacks, secured to the item by two ratchet straps which are supplied with the machine.